How did I miss the announcement??? Back on January 9, SMART Technologies announced the updates to SMART Notebook to be expected in SMART Notebook 11. I am super excited! Widgets, such as a dictionary and translator, will let users handwrite a search query, receive the answer and move that answer to the SMART Notebook software page. An avatar widget will let teachers bring their dynamic talking avatars into SMART Notebook 11 and save them to the Gallery. (It’s an embedded Voki). Widgets will be available for download at the SMART Exchange. SMART is even allowing 3rd party developers to create custom widgets. Crayon feature that allows users to create authentic crayon drawings on the interactive whiteboard. 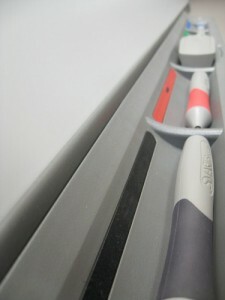 Customizable creative pen builds individual pen types based on any image. Create activity objects with the activity builder tool that reacts to actions made by students or teachers with animations or sounds for engaging interactions. Contextual toolbar that responds to actions by changing when users choose a certain object, giving them the required tool choices they need to work with that tool. Shake feature will allow for quick grouping and ungrouping of objects. Audio recording records sound directly into a file. To see all of the new features and functions of SMART Notebook 11 visit SMART Technologies. Watch the video Sneak Peak by clicking on the Video tab. SMART Technologies usually makes the new software available in June or July, right around ISTE, but the media release said this version will be ready this Spring. Going to keep my fingers crossed and keep checking their site. What new feature are you most excited about and in what ways do you plan on using SMART Notebook 11 to support learning in your classroom? Featured speaker Bonnie Davis facilitates this interactive talk, focusing on examining one’s cultural lens and learning strategies to improve the academic achievement of ALL students. Davis discusses culturally responsive instruction with an emphasis on students “who don’t look like you.” Beginning with an examination of one’s cultural lens, she leads participants through reflection and collegial conversation. Using brain-based instructional strategies, Bonnie explores how to create a classroom community that honors every voice. Participants learn her award-winning strategies to engage all students to improve their academic achievement across the disciplines. This presentation is based on material on Davis’s book, How to Teach Students Who Don’t Look Like You: Culturally Relevant Teaching Strategies. 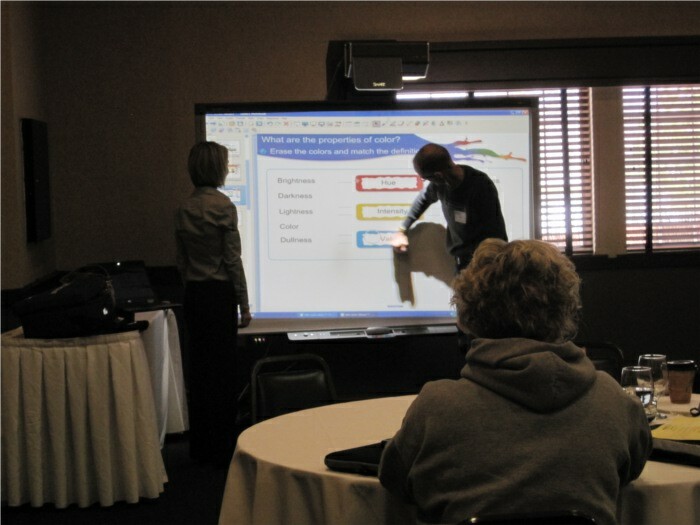 Presenter Laura Brockman of SMART Technologies demonstrates how collaborative learning becomes an extraordinarily natural experience with the SMART Board® 800 series interactive whiteboard. Two people can instantly work together anywhere on the surface at the same time using either their fingers or a pen. This interactive whiteboard also features a multiuser Pen Tray with buttons that make it easy for users to switch ink color, right-mouse click and bring up the On-Screen Keyboard. Google Forms = Easy Online Quizzes! 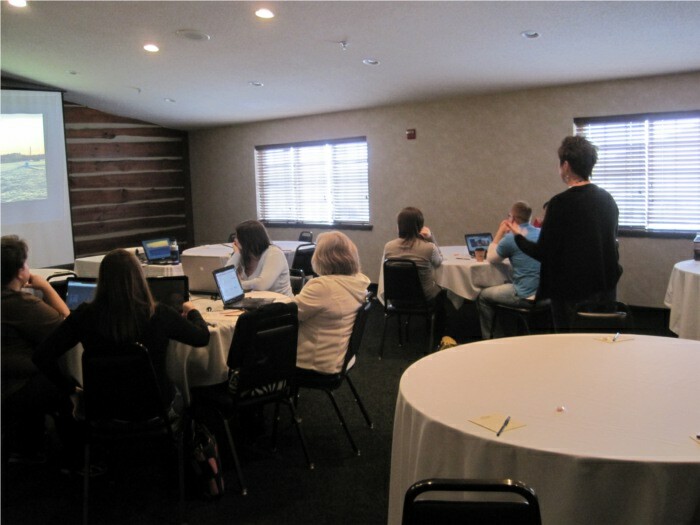 Suzanne Stillwell of Hallsville School District facilitates participants developing their own free online quizzes and surveys to use with their students. 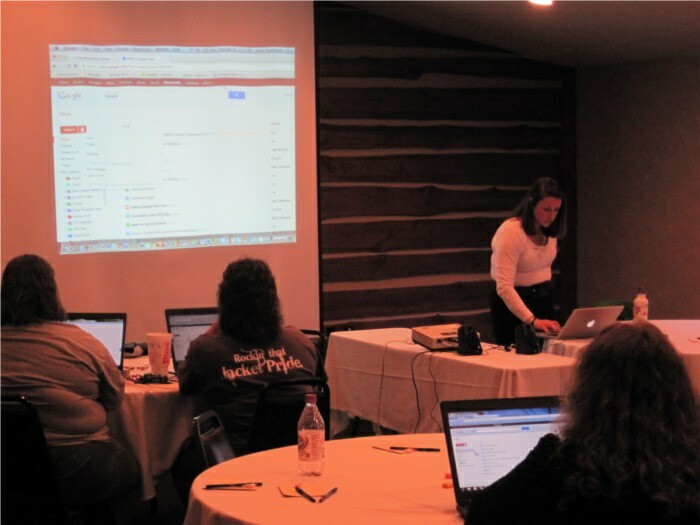 Participants see how to use Google Forms to create simple quizzes and surveys. The form can be easily embedded in a teacher webpage so that students can complete the quiz without having to have a Google account. There is even a script called Flubaroo that can be added to collect, grade and analyze the results! Presenter Diane McCormack of Affton School District demonstrates the tools available to classrooms through Gaggle and develops ideas of how to integrate it into lessons. An overview of the capabilities of Gaggle, what makes it safe for the classroom, and ways it can be integrated into learning are part of this presentation. Gaggle contains email, blog, profile page, message board, homework drop box, digital locker and collaborative writing space. The program is set up to meet the unique needs of classrooms and can be customized by each district. 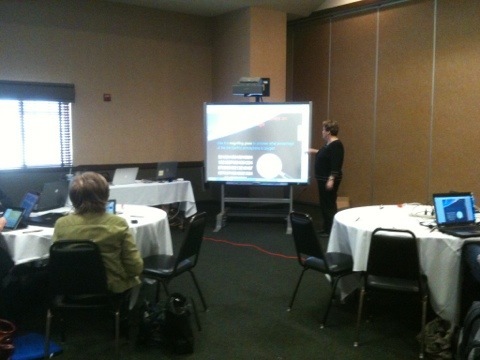 Cathie Loesing (eMINTS National Center) is back to show participants how easy it is to create ebooks and share ideas for classroom use. Creating books in the classroom to support developing reading skills, to share learning and as a component of writing instruction is not a new idea. However, eBooks make sharing those projects easier and more rewarding than ever. Return of the Speed Geekers! eMINTS National Center staff Doug Caldwell, Ruth Henslee, Jen Foster, Amy Blades and Brooke Higgins lead this fast-paced and exciting session. Participants benefit from the knowledge of others in the field and walk away with a plan for incorporating 2.0 tools in meaningful ways. Workshop participants view actual, practical and rich examples of online technology tools and hear about implementation strategies used to enhance communication, collaboration, and cognitive thinking. The workshop’s activities are delivered in a “speed-geeking” format. 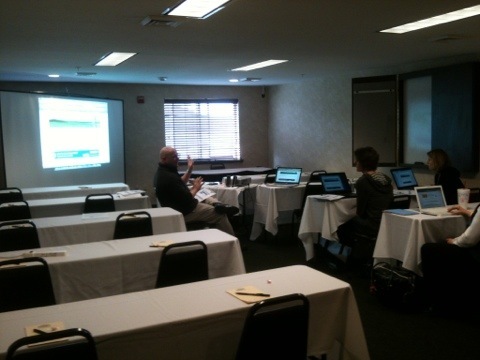 Five stations are set up and participants rotate through each station in timed intervals. Kerry Townsend presents how teachers of writing will learn new ways in which the collaborative writing process can be taught in the modern, technology-enhanced classroom. Web-based applications such as Google Tools, Twitter, Evernote, Prezi and Weebly are discussed as well as AV software and tools such as iPads/iPods, webcams, document cameras, Audacity, iMovie, etc. 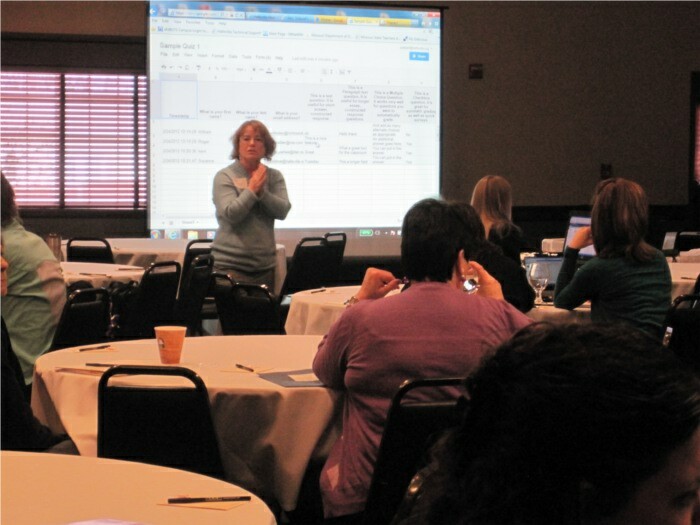 Cathie Loesing of the eMINTS National Center shows participants how easy it is to create ebooks and share ideas for classroom use. Creating books in the classroom to support developing reading skills, to share learning and as a component of writing instruction is not a new idea. However, eBooks make sharing those projects easier and more rewarding than ever. See how you and your students can use a free online program to create and share e-books that may be read on smart phones, iPads and other eReaders. 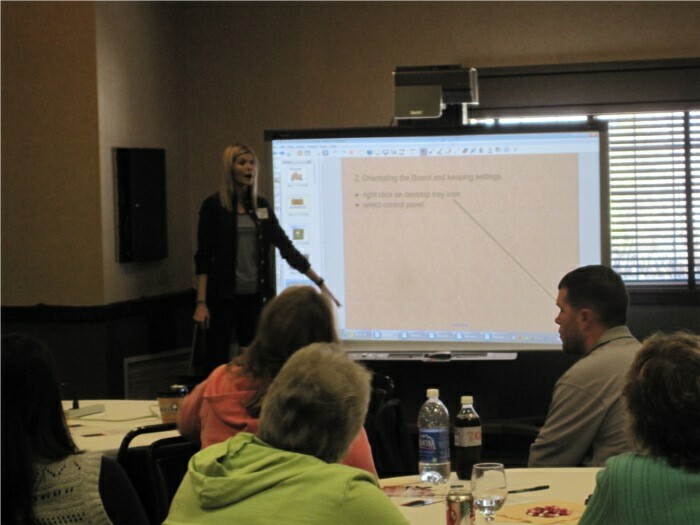 Laura Brockman from SMART Technologies helps participants create, explore and evaluate math concepts with SMART Notebook™ Math Tools. This add-on to SMART Notebook collaborative learning software combines all the tools you need to teach math concepts and solve equations in a single application. It keeps everything at your fingertips, so you can easily incorporate shapes, measurement tools, graphs and tables into lesson activities. 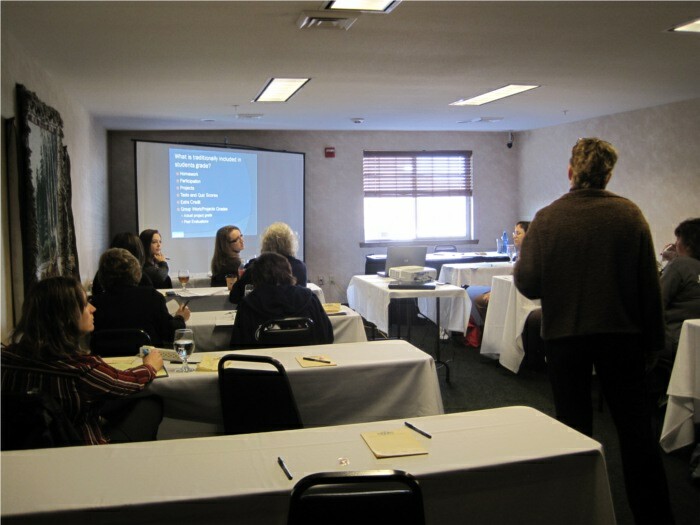 Every year, we at eMINTS offer some pre-conference workshops the day before the conference commences. 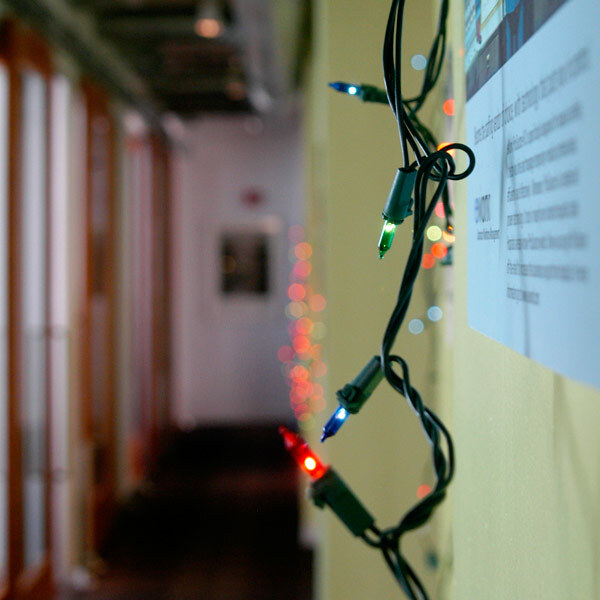 This year, we have three such workshops underway. 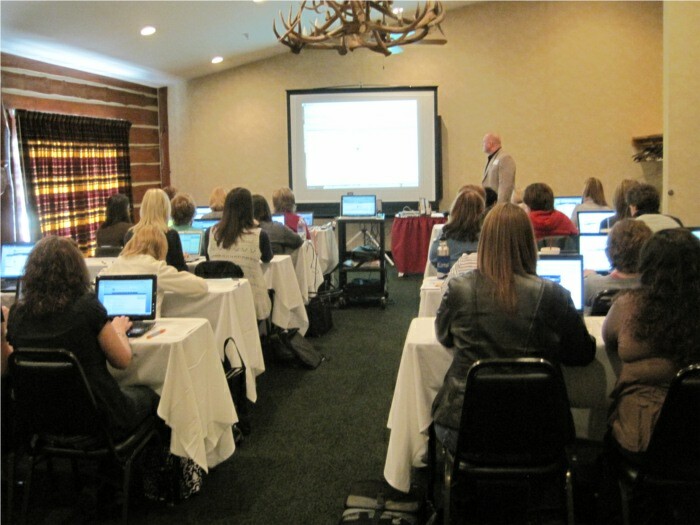 There are sessions covering Weebly, SMART Products, as well as Google Apps. 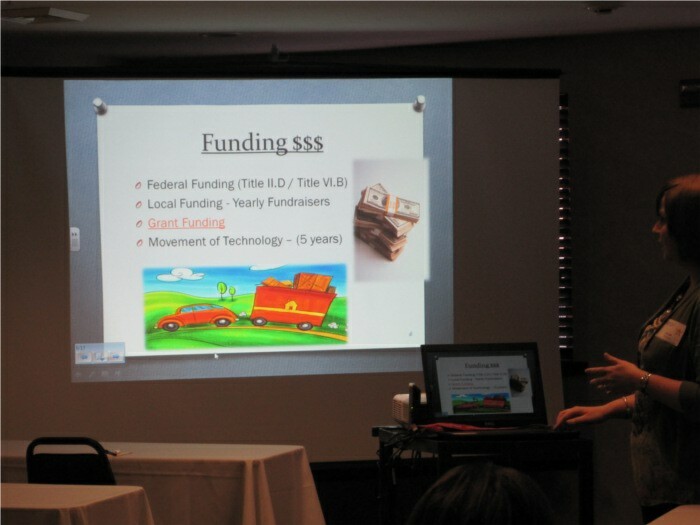 Roger Brallier of Mexico, MO is back again this year to present on managing a classroom website using Weebly in “Wock Your Webpage with Weebly”. 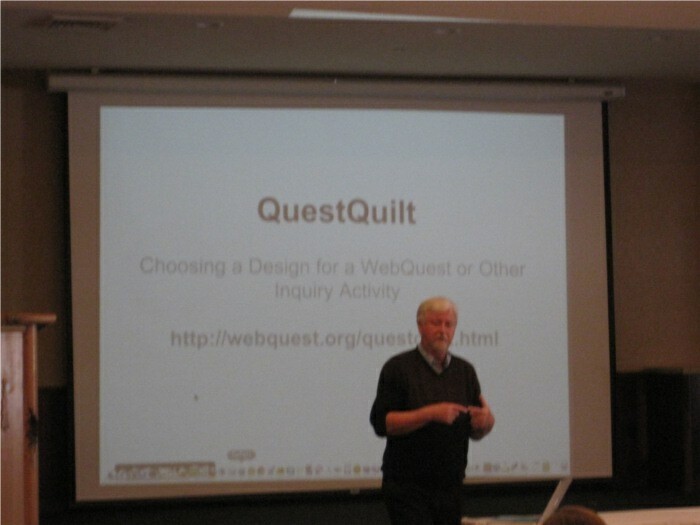 Roger is an experienced and knowledgeable eMINTS trainer who is best when it comes to do-it-yourself projects. With Weebly, Roger can demonstrate how easy it is for one to create and manage a website using this free online tool. 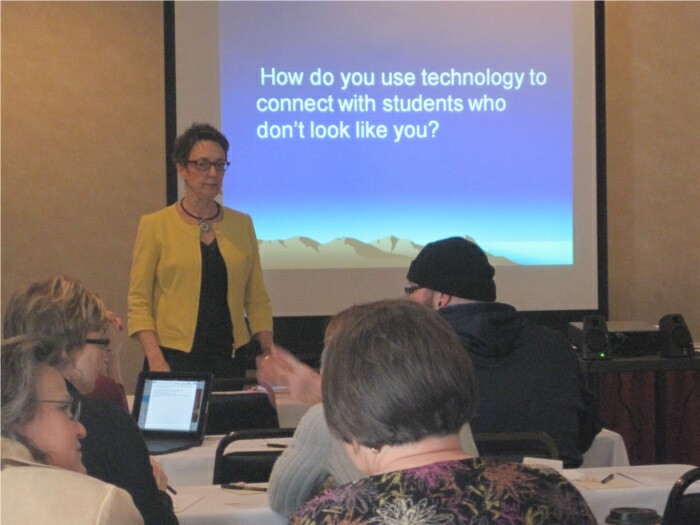 In “Applying Research-Based Strategies Using SMART Products”, presenter Martha Bogart of Cooperating School Districts (St. Louis) shows participants how SMART Boards and SMART Notebook can be used effectively in the classroom. While I was stopping by, Martha was sharing the wonder of pull tabs in Notebook as a way to reveal key information or instructions for students using the SMART Board. 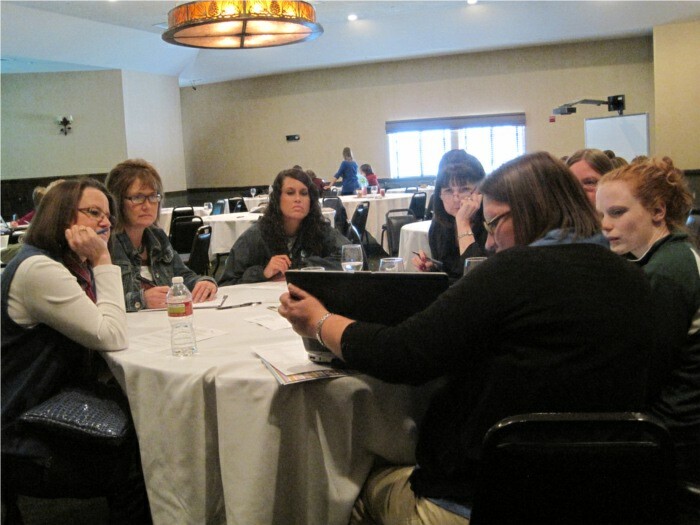 Throughout the session, a connection is made with the nine McREL (Marzano) research-based strategies and SMART Tech products. It’s always great to learn how pedagogy meets technology in the classroom. 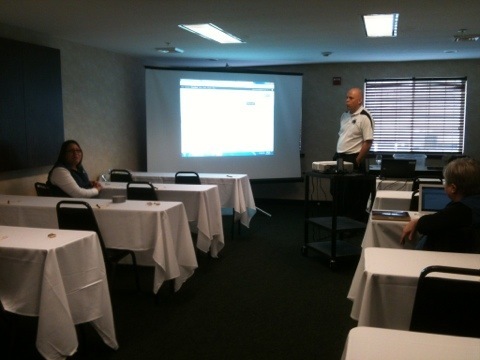 Centralia’s Matt McKenzie presents on the many benefits of Google Apps. These free tools offered by Google can fill classroom, team, and school district needs with just a Google account. Matt is extremely knowledgeable in this area as his school district has made some major strides in integrating Google Apps in nearly every aspect teacher and student work. Pre-conference sessions are typically three hours. They are often extended versions of the hour-long sessions we provide during the meat of the conference. 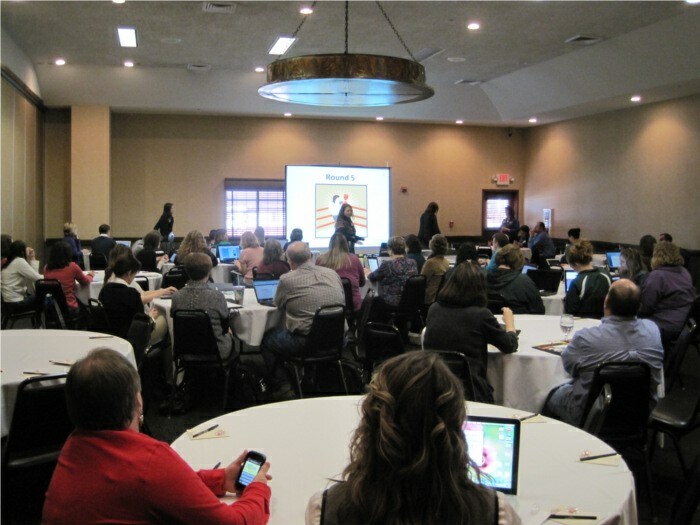 The three sessions above are just a taste of what the eMINTS Conference has to offer participants over the next few days. Zac Early is an instructional specialist and blogger for the eMINTS National Center. SMART Boards and other interactive white boards have become even more common than the traditional chalkboard in today’s classrooms. Those schools who are equipped with SMART Boards have quickly discovered the virtues of the accompanying software, better known as SMART Notebook. Notebook is such a useful tool that teachers now find ways for students to use the software on their own computers and not just the SMART Board. Unfortunately, most students do not have access to this software at home. Schools are limited to a certain number of licenses for Notebook software. Students are unable to access SMART Notebook files at home…well, until now! 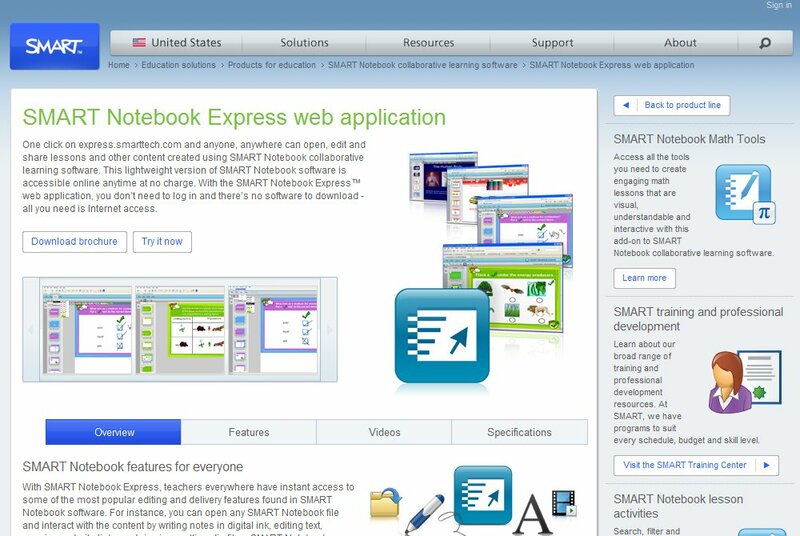 SMART Notebook Express is a free, online app that can allow any home computer user to have access to SMART Notebook files. This version of the software is paired down and not as extensive as the desktop version, but it does allow a certain amount of access to SMART Notebook files that would be otherwise be inaccessible. Besides allowing students and parents to access your SMART Notebook files at home, there are other uses for this online app. Create the structure or organization for a lesson from any computer and just add the “bells and whistles” later when you have a full version of Notebook available. You could also simply edit or evaluate a Notebook file from anywhere. If you’re planning to demonstrate a concept already created in Notebook but the computer you’re using isn’t properly equipped, just use Express. The ability to open Notebook files from any computer with or without SMART Notebook makes Express a valuable tool. Have you tried using SMART Notebook Express yet? What uses can you see for Express? Zac Early is an instructional specialist with the eMINTS National Center and he wishes he had his own SMART Board to keep in his home. Monday Message: Get SMART this summer! Getting a new SMART Board in your classroom this year? Need a refresher to help increase your effectiveness using the SMART Board and SMART Notebook? Interested in making your SMART Notebook lessons more interactive and engaging for students? If so, you might be interested in one of the professional development opportunities eMINTS is offering around the state of Missouri this summer. eMINTS will offer 2 levels of professional development in Columbia, St. Louis, and Springfield. All trainings will be led by SMART certified specialists. At Level 1 training, you will increase your effectiveness with SMART Notebook collaborative learning software at a full-day professional development on-site session. At Level 2 training, you will learn how to design lesson activities in Notebook collaborative learning software by adding style and incorporating interactive content at a full-day professional development on-site session. Check the eMINTS website for dates, locations, fees, and more. Sign up now to guarantee your spot in this high quality professional development. Seating is limited. Between now and the SMART training dates you may want to browse these SMART resources and fill your virtual file cabinet with great activities that support your curriculum. The SMART Exchange: Professionally created Notebook activities correlated to state standards, from SMART Technologies, teachers, and even publishers. Download and use these SMART Notebook files as is or edit them to fit your needs. eMINTS eThemes: Your source for content-rich, kid-safe online resources. Technology Flash Files – find flash files specifically for using with a Smart Notebook. Includes instructions for how to import flash files into the Notebook and how to retrieve flash files. 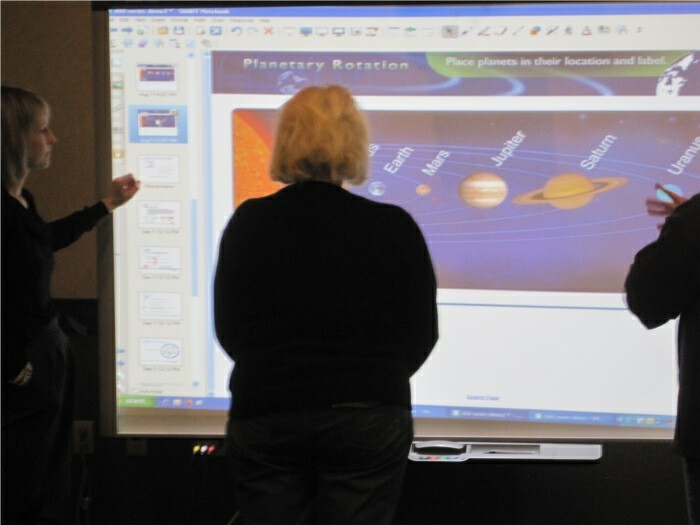 Teaching Tips: SMART Board Resources – resources for various subjects and grade levels. There are downloadable lessons, interactive websites, templates, interactive videos, and teaching ideas. Math: SMART Board Activities – activities for geometry, number and operation concepts, functions and algebra, fractions, and statistics. Explore the many different applets. jkmallen (Photographer). (2007). Image 0727. [Web]. Retrieved from http://www.flickr.com/photos/27291024@N02/4095775128/ – used with permission under the Creative Commons license. 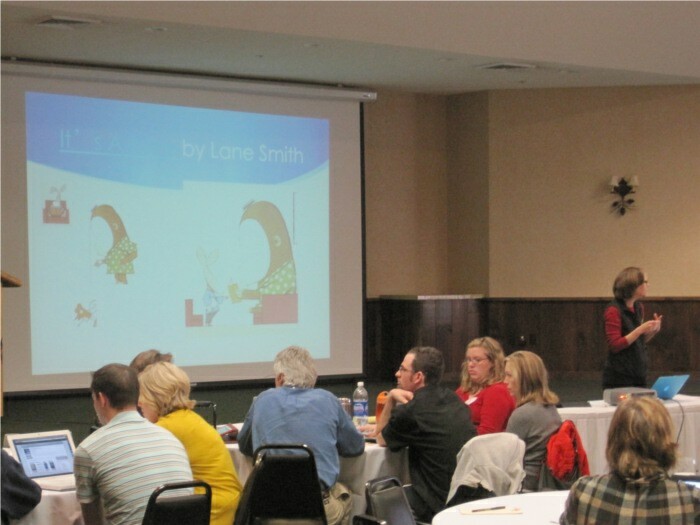 Two levels of professional development on SMART Board and SMART Notebook led by SMART training specialists will be offered in summer 2011 at three locations across the state – Columbia, Springfield and St. Louis. Attend one day or both days. Find all the details and a link to online registration at the eMINTS website. Increase your effectiveness with SMART Notebook collaborative learning software at a full-day professional development on-site session. Learn how to design lesson activities in Notebook collaborative learning software by adding style and incorporating interactive content at a full-day professional development on-site session. Again, for more information about what specifically is being offered, when and where trainings will be, and cost are available at our website and register here.